Keeping your bathroom plumbing running smoothly is vital to the comfort of your home. Your bathroom plumbing gets a lot of use: flushing toilets, showering, draining sinks, draining tubs, and more! Keeping your bathroom plumbing running smoothly is vital to the comfort of your home. Sometimes, things happen and it needs to be repaired. Here are some signs that it’s time to repair your bathroom plumbing! A slow drain is a sign of a clog and should be taken care of right away. Most home improvement stores sell drain-opening products. You can also use a plumbing snake or sometimes even boiling water. If none of these things work, however, it’s time to call a professional. 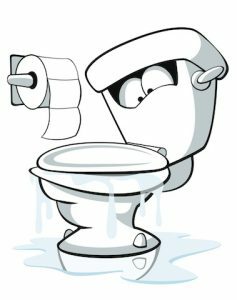 When left untreated, a clog anywhere in your bathroom plumbing can cause a burst pipe, and no one wants that! If you notice that your water pressure isn’t what it used to be, this could be an indicator of several issues within your home’s plumbing. All sorts of things, including leaky or broken pipes, water heater malfunction, or a simple dirty showerhead, can cause loss of water pressure. A dripping faucet, even a slow one, can still increase your utility bill. It’s also an indicator that something is wrong with your bathroom plumbing. It could be something as simple as a washer that needs replacing or it could be something much more complicated. Call Master Plumbing and Mechanical and we will be happy to come figure out why your faucet is leaking. If you hear a knocking while you’re running water or whenever you turn the tap on or off, this could mean that the pressure changes inside your pipes have caused them to shift and break free from their brackets. This should be addressed right away, as it can cause bending and sometimes even breaking of pipes. This entry was posted on Thursday, March 29th, 2018 at 4:12 pm. Both comments and pings are currently closed.